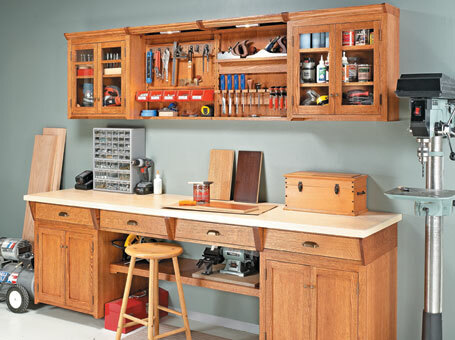 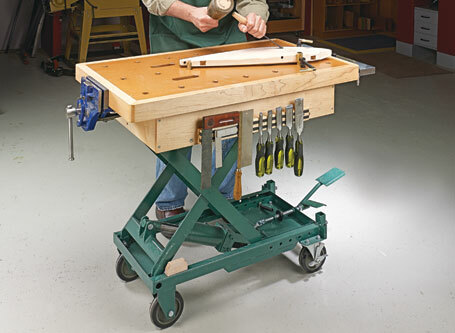 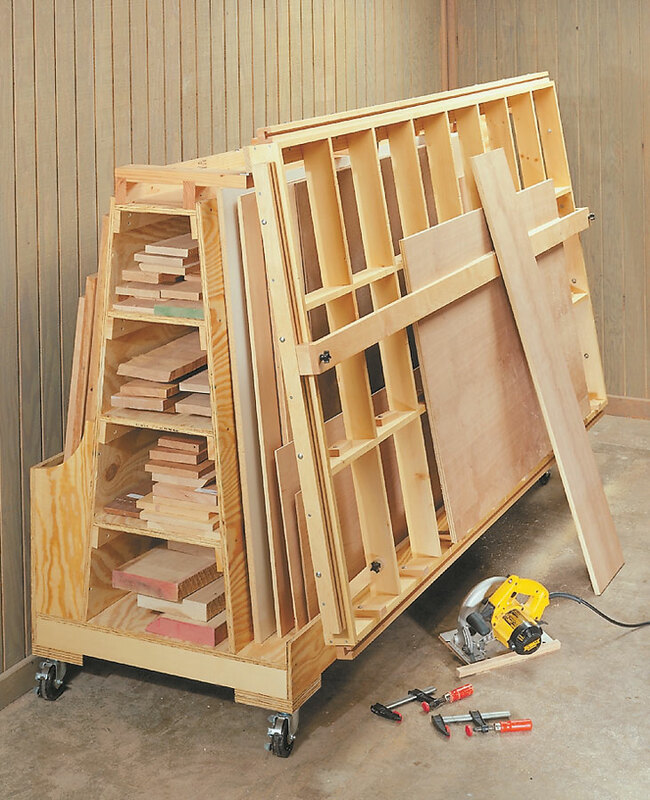 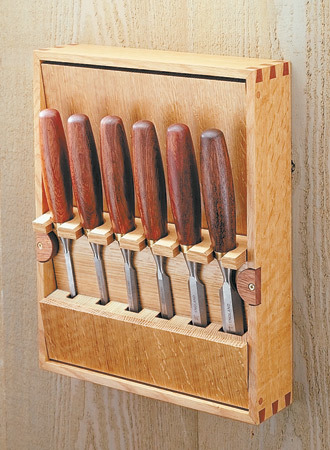 One of the best things you can do to improve your woodworking is to get your lumber up off the floor and in its own storage area. 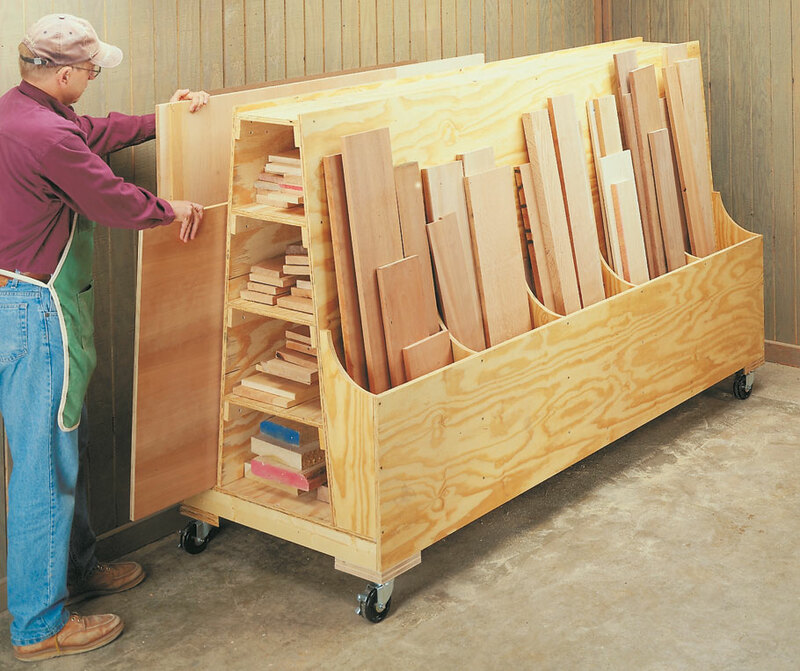 We designed our roll-around lumber cart to do just that. 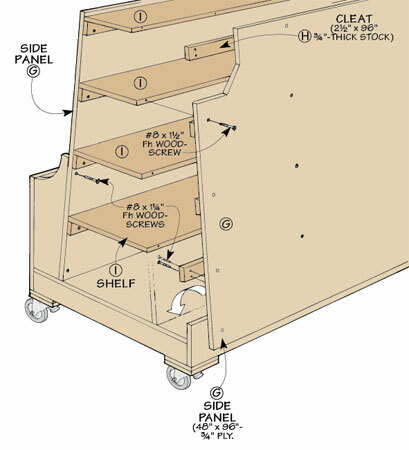 You can slide long boards into the open-ended compartments in the A-shaped tower, and shorter pieces into side bins. 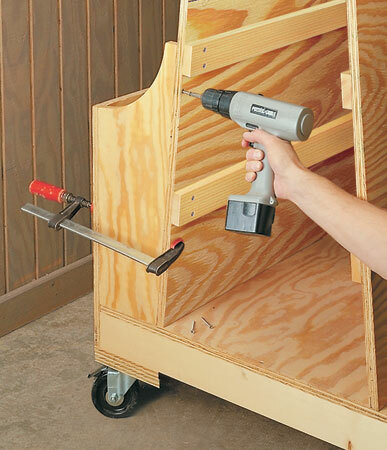 We also included instructions for building an attached Panel-Cutting Guide.